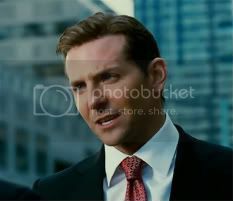 “Limitless” — which stars Bradley Cooper and Robert DeNiro — has been well received by audiences worldwide. It was No. 1 in its opening weekend. It’s understandable why the movie has done well, since it has a great cast, is fun and has a interesting plot. When I first heard of the movie, it seemed like an easy opportunity for Bradley Cooper to show off his acting abilities. And this is what he does, plus he has fun with the role, too. His character, Eddie Mora, starts off the movie pretty much as a drunken street vagrant — and Cooper pulls it off very believably. I couldn’t even recognize him. He had no confidence, no pizazz, nothing. But by the end of the movie, we have the confident, cocky and wise-about-everything character Copper is do adept at pulling off. Kudos to Bradley for his work here. Overall, I will say I really liked the movie. Though the plot did follow certain patterns from other movies — to the point of predictability at times — but it had other fresh perspectives I liked. There is this movie comedy called “Love Potion #9,” which the writers of “Limitless” either never saw or which they completely borrowed from. In that movie, two not-so-lucky-with-love scientists (played by Sandra Bullock and Tate Donovan) acquire a bottle of a mysterious liquid that can make people fall in love with you for four hours. Though there is a scientific explanation for it, they immediately decide to try it out for themselves. The love potion works surprisingly well and they use it for personal gain. The potion eventually falls into the wrong hands and desperation pops their bubble. This plot is very similar to “Limitless,” though “Limitless” is not a comedy and the final outcome is different. Robert De Niro’s character, Carl Van Loon, does not bring much to the movie or do much either. He wasn’t menacing or impacting enough. He could have been so much more in my opinion. Especially since his character built the empire he owns the hard way — not by using the magic pill, but through hard work and great intelligence and at high risks. But Mora doesn’t feel threatened by Van Loon at any moment. There was nothing he couldn’t handle, which left DeNiro’s character helpless and humiliated, even when I think the film-makers didn’t intend it. Finally I would like to point out that I loved Abbie Cornish’s performance in this movie. She currently also is in “Sucker Punch,” where I feel she is amazing. It’s great that she is in two movies right now, though I feel she will get more attention from “Limitless,” where she is truly a breath of fresh air. In this movie, she gets to be the voice of reason within the chaos of Eddie Mora’s life.. She is a highlight in the movie for me, and I think we will be seeing a lot from here in the years to come. So, have you seen “Limitless” yet? What did you think? I saw this film last week and I enjoyed it too, not to complex a story, but not imbecilic either, a fun movie to watch.